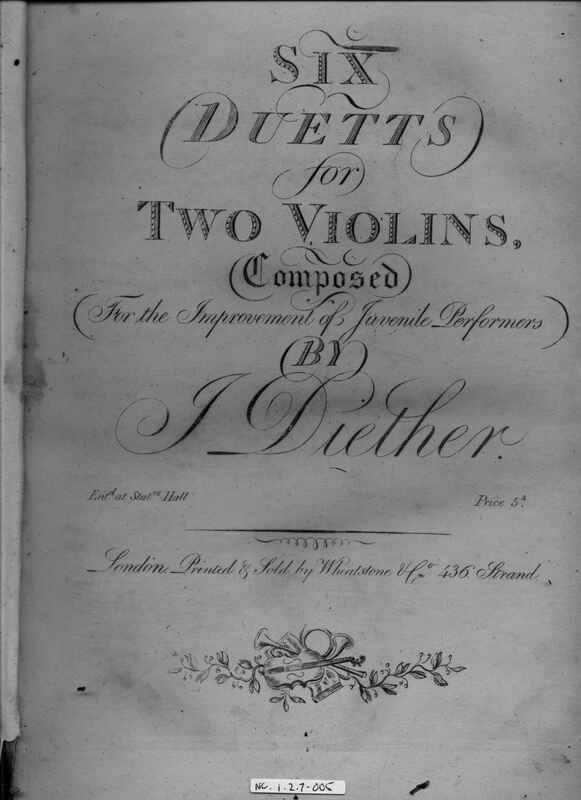 Full Description: One of two large folio-sized leather-bound volumes of “Duetts for two Violins”, each from c1815, and each volume containing about 20 sets of from 3 to 6 individual pieces, in paginated sets. 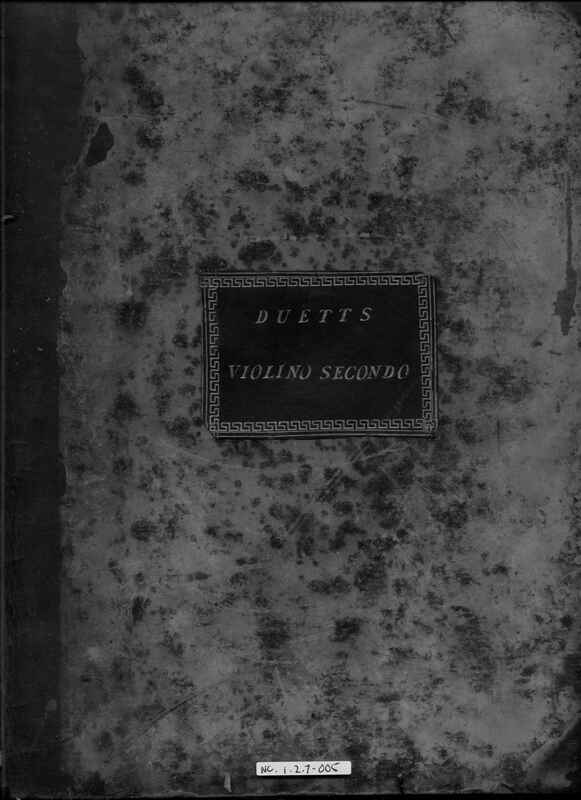 This volume is labelled on a gilt-stamped leather cartouche on the cover “Duetts Violino Secondo”, and is signed and dated in ink inside the cover “John Carey 1816”. The selections within each volume are published by a wide variety of early 19th century publishers, (some from Paris) all active around 1810 – 1815, and the opening selection of Six duetts is “Printed and sold by Wheatstone & Co, 436 Strand” – the address of the family’s business prior to the move to 20 Conduit Street.